QUICK TAKE: I thought the packaging looked sophisticated and the product was well-presented. USAGE TIPS: Use as directed. I apply it to my whole face and décolletage. 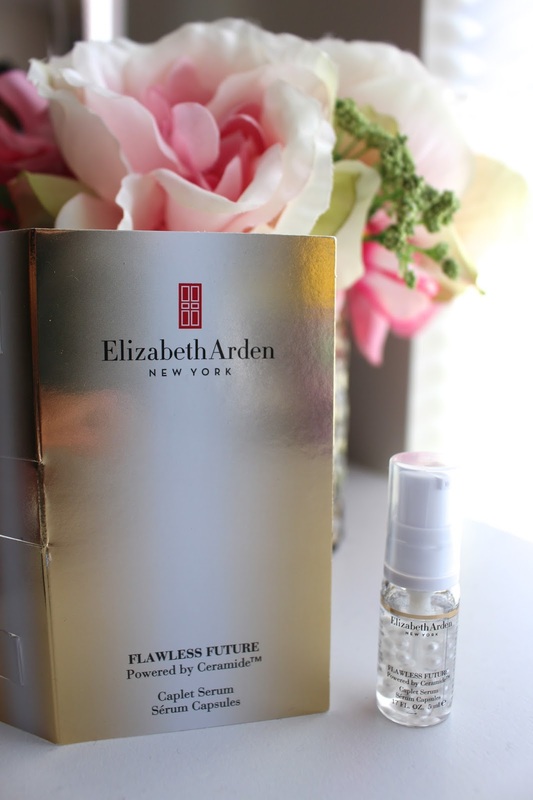 THE VERDICT: I love trying new skin care products and this Elizabeth Arden serum is really great. I love the silky consistency of it and how it absorbs so quickly into my skin. The little pearls make it look super pretty! I like to apply the serum to my whole face and décolletage, focusing on areas where my laugh lines and crow's feet will eventually be. The texture of my skin has been feeling a lot more supple, and I think it's all thanks to this serum. Now I have to keep buying it even though the price is a little steep ($60 for 1.0 oz), but it's totally worth it!